BUCHAREST, ROMANIA>> In a Bucharest apartment last week, Izidor Ruckel was packing to return to the United States when his phone buzzed. 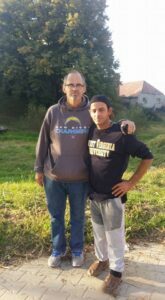 Ruckel, who resides in Denver, Colorado, spent the last month in Romania. The first part of the trip he facilitated a reunion between a former orphan (adopted by an American family in 1999) and his birth family. Adoptee Michael Slein, his adoptive family, and his biological family were featured together on the La Maruta show on March 28th in a meeting that brought healing and hope. Ruckel then met up with Sarah Padbury and Serena Orrego, colleagues from The States, who joined Ruckel for a visit to his hometown of Sighetu Marmatiei. Ruckel became the face of institutionalized orphans worldwide when the press discovered him in a horrific orphanage in 1990, soon followed by his adoption into an American family. The trio visited the orphanage (now an abandoned building) and interviewed several former workers and residents. The research trip was organized to confirm the facts of Ruckel’s journey to America in order to turn his life story into a feature film. For more information on the upcoming movie, visit IzidorTheMovie.com. 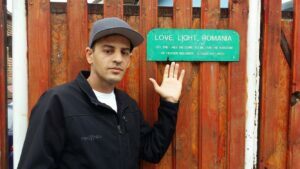 During his travels, Ruckel also visited an NGO called Love Light Romania (LLR) located in Medias, a town of about 50,000 in Sibiu County. LLR was founded by Ron and Jo Jowett in 2000. 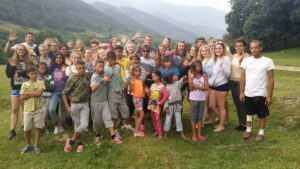 The British couple first began visiting Romania to help its orphans in the mid-1990s and soon found they needed to be available full-time to be truly effective in their work. They sold all they had and moved permanently to Romania. 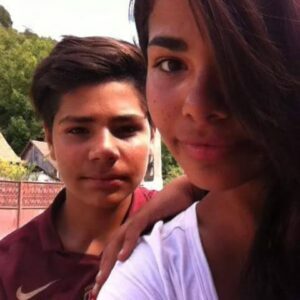 Today LLR operates several programs to help Romania’s orphans, including a home and resources for HIV/AIDS infected children and an education program to help families escape poverty. Helping the orphan is a part of Ruckel’s heartbeat. So when the Jowetts offered him a one-year contract to work at LLR as a mentor to teenagers, he was thrilled. 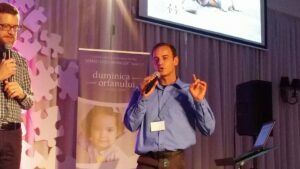 Ruckel has dreamed of working in Romania for many years and is starting his new position immediately. Instead of traveling back to Colorado, he took a train to Medias and is currently settling in.